One of the devices that often comes with a security system is a carbon monoxide detector. These detectors can be very important, because they can save lives. They aren’t the only type of protection a homeowner should have, but they’re definitely one of the options that should be carefully considered. 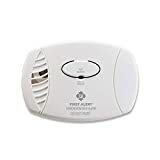 A carbon monoxide (CO) detector can malfunction, though, and it’s important to know how to reset this detector so there’s a reduced risk of it not working when and if a homeowner really needs it. If it doesn’t work and CO gets in the house, it’s possible the occupants of that house could lose their lives. Naturally, that’s something to be taken very seriously — but it’s possible to reset a CO detector and test it frequently. That will help make sure it’s working right, and will give the homeowners the peace of mind they need, as well. Then they don’t have to worry about CO getting into their house, and they can be fully protected from the danger. Some homeowners have more of a risk than others, but it’s always a good idea for homes to have this kind of detector just to be sure that everyone in the home is staying as safe as possible. It’s truly much better to be safe, rather than sorry. 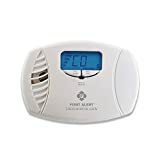 Why Does a Homeowner Need a Carbon Monoxide Detector? Homeowners need carbon monoxide detectors because CO is a colorless and odorless gas. If it gets into a home it can kill, and the homeowner won’t notice it because they can’t see it or smell it. The main danger is at night, where a homeowner exposed to too much CO may not wake up. 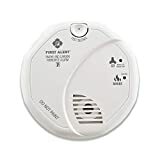 That doesn’t mean a CO detector won’t help during the day, but only that a homeowner may be more likely to notice a headache, dizziness, or other problems that could lead them to leave the house if they suspect carbon monoxide is the culprit. Having a detector provides a very high level of peace of mind for any homeowner — even those who have all electric homes and assume that they’ll never be exposed to any kind of carbon monoxide issues. Does a Detector Need to Be Reset Frequently? The home security system is only as good as its weakest point, and if a component isn’t working that can pose a real problem. Interlinked systems will usually let the homeowner know that something isn’t functioning correctly, but if a system isn’t linked up than the homeowner will need to reset their detector without knowledge from the rest of the system. Generally, a light on the detector that’s not blinking indicates that there’s a problem. Sometimes a flashing red light is an issue, as well, but that’s not always the case. Some companies have a flashing red light as standard, and the detector wouldn’t need to be reset. When all of that’s offered to a homeowner and they can get help and guidance from the company, it makes it easier for them to appreciate that company and have peace of mind. They can also have more comfort and convenience, and feel much safer as they enjoy all the value and benefits of their home.